Ribbon cuttings happen every day in the metro area, but here are two that deserve some attention today: the completed renovations at Nichols Middle School in Canton and the Boundless Playground/Adam’s Project at Freedom Ridge Park in Ridgeland. On Friday at 9 a.m., meet Canton Public School District and city leaders at Nichols Middle School, 529 Mace Street, for the ribbon cutting celebrating the completion of two phases of renovation. Phase 1 encompassed new student bathrooms; new classroom doors; new canopy and sidewalk connecting the southwest building to the gym; new south and west parking lots and driveways; new stucco on the gym’s north side; new halls and canopy to the cafeteria from the north and west sides; new communications hub room and new water and sewer infrastructure. Phase 2 consisted of a new administrative wing; library and computer lab; new east parking lot and driveway; new locker rooms and new masonry sidewalk and canopy along the east side of the existing building. 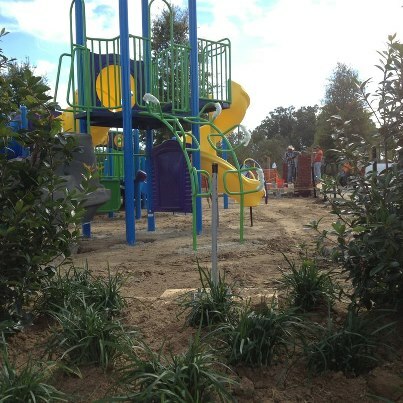 At 4 p.m. on November 7, the city of Ridgeland will unveil the new (and I’m sure the first of its kind in the area) Boundless Playground made possible by grants and donations to Adam’s Project. The universal design playground allows for children and adults with disabilities access to the unique parts of the playground. Looks like disabilities will be a thing of the past at Freedom Ridge Park. 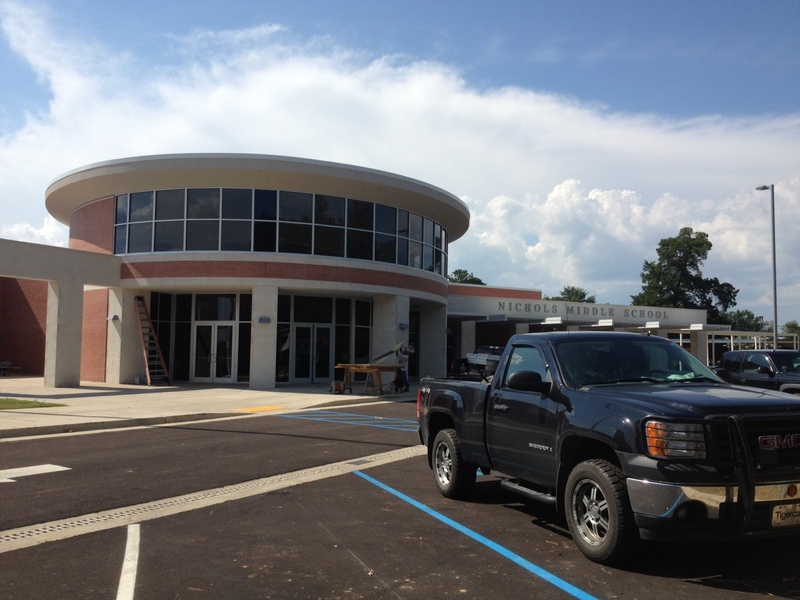 The new front entrance of Nichols Middle School that was completed over the summer. 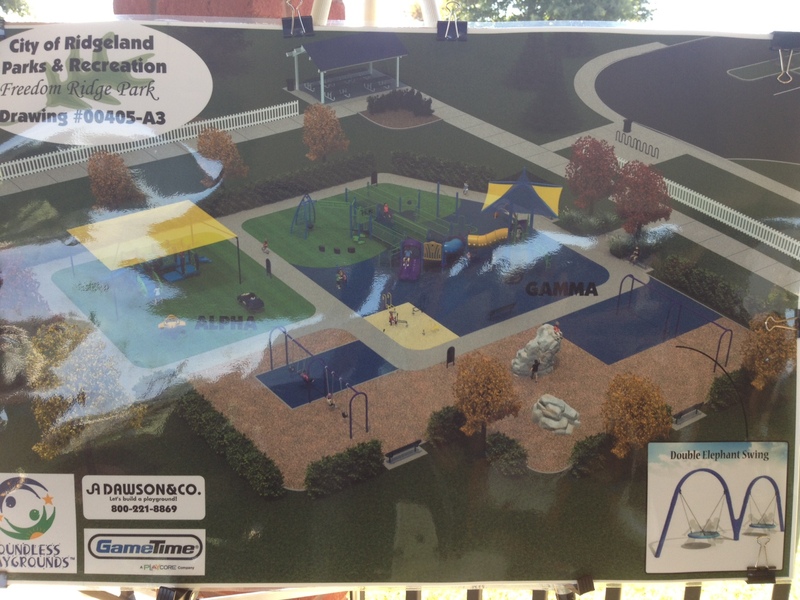 The rendering of the completed playground. One of the last photos taken by the Ridgeland Recreation and Parks department on its Facebook page.